SRP has the capabilities to custom fabricate a variety of gaskets and seals for the military and defense industry. Products within this industry need to stand up to even the most extreme conditions and environments. Our goal is to always ensure that our product meets each and every quality standard from our customers. 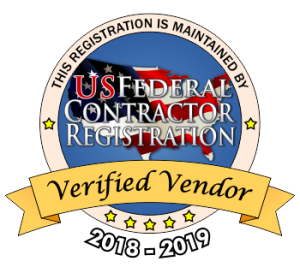 Our CAGE code is 60841, and we are enrolled in the Simplified Acquisition Program of US Federal Contractor Registration. Visit our web page at www.srpcogov.com. With components needed for equipment across various sectors of the defense industry, SRP can provide custom gasketing solutions to provide products such as environmental seals to protect against rain, water, dust, dirt and debris in even the most sophisticated technology. Our products can provide solutions for products such as: radar systems, sonar systems, telecommunications systems, control systems, sensor systems, communication electronics, and more. For applications requiring impact protection, SRP works with a variety materials that are specifically used to provide shock absorption and vibration control that will not only keep the product in great working condition, but to also withstand the life of the product. We work with the latest and most sought after materials on the market. We are a 3M Preferred Convertor for their materials in the converter markets. We are also an ISO 9001-2015 certified company. Our quality of work is held to the highest of standards, exceeding the expectations of our customers. For more information, you can reach SRP at info@srpco.com or 847-593-5630. To see what other industries we custom fabricate components for, visit our dedicated Markets page. SRP has worked in a variety of markets in the course of its existence since 1951. We are not limited to who we will work with. As long as we can provide the necessary custom parts you need, we will be there to provide our service.